[Jakarta, LTTW] Recently, on September 6, 2017, we read an obituary of Gauri Lankesh (55 year old), a female Indian journalist senior, writer and activist (secularist-nationalist). Lankesh was assassinated inside her residence in Bengaluru city (India). Police found three bullet wounds on her body and yet the murderers remain unknown. Nevertheless, it is presumed that Gauri Lankesh’s murder was due to the criticism that she bravely countered political interest of “far-right wing” Hindu nationalists. 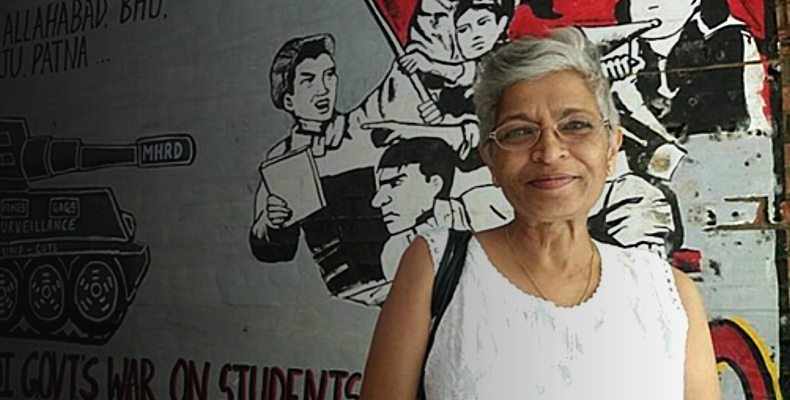 Before the death of Gauri Lankesh, there were a few leftish academics and journalists who have also been murdered. However, people who mourns the loss of her existence held protest rally in some regions in India. India seems to be having a restless point to maintain democracy in its sovereignty. And yet, fascist practices still exist in some communities. Nowadays we keep seeing the politics of religion practiced in many parts of the world; the killings of moslems by Ma Ba Tha (a paranoid Buddhist movement in Myanmar) and Front Pembela Islam or FPI (agitating Islamist group) that despises the Christian Governor of Jakarta are examples of such practice. Regarding the brave act initiated by Gauri Lankesh, she will be remembered by women, the press, and the world. Her criticism is a prominent message to voice out the freedom of press. Without any criticism on this world, everything would be very subjective. LttW stands by Sacred Bridge Foundation’s principal, whereas a single perception is dangerous for humankind.